The New Holland all-new Roll-Belt™ variable chamber round balers replace the BR7000 and deliver capacity increases of up to 20% when compared to the BR7000. Available in 1.5 and 1.8 metre bale diameters, it will become the default choice for large livestock operations together with cooperatives and straw, hay and forage contractors. 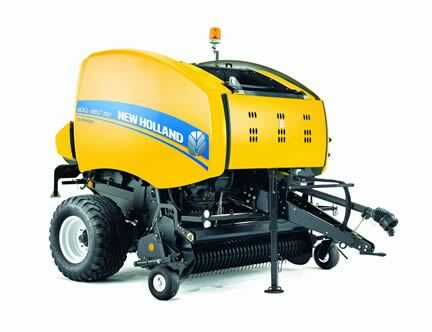 New Holland, a pioneer in round baling technology, has produced over 225,000 variable chamber round balers, testament to their unrivalled performance and popularity amongst the world’s farmers.